Like many other developing countries, Nepal does not have freely available detailed online maps. While traditional mapping agencies target mapping needs of big organizations and expert users, everyday needs of map data for small organizations and citizens at large remain unmet. Mapping entire Nepal or even Kathmandu Valley is a huge task - no single organization or individual can accomplish this. It requires incremental contribution from a large number of people, i.e. mapping community. Sensitize students, development agencies and government organizations about OSM through Sensitization Presentations. 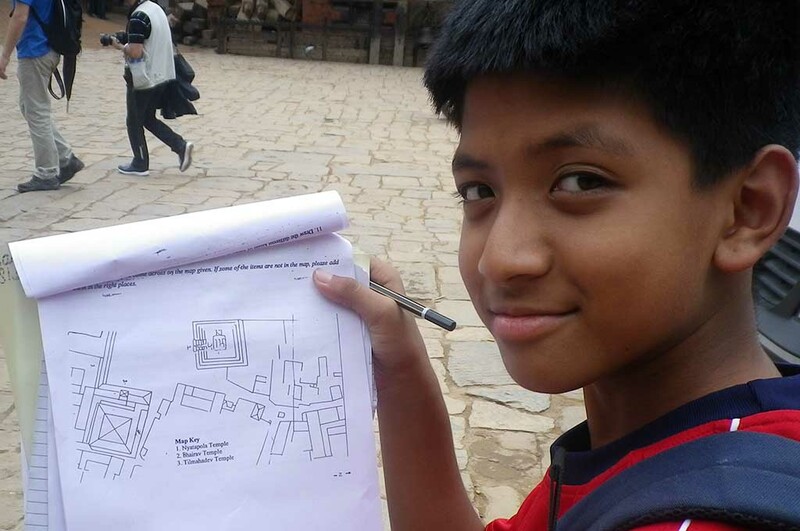 Deliver Mapping Workshops to train people in mapping. 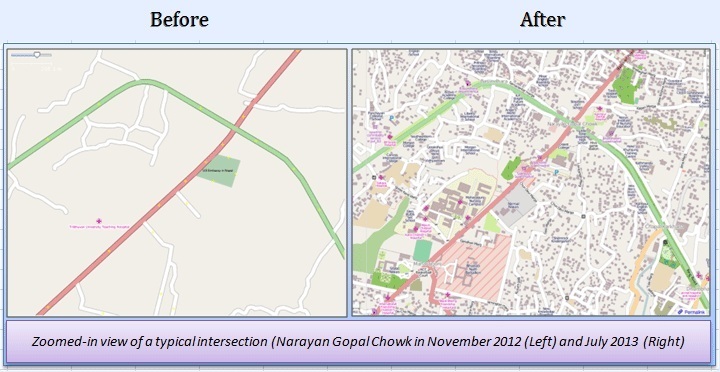 Expand coverage and enhance quality of OpenStreetMap data. Stimulate innovations around OSM and OSM data. We have delivered numerous sensitization presentations to universities, government agencies and international development organizations - directly reaching out to over 1650 people. We have trained over 1400 people in OpenStreetMap through numerous Mapping Parties. This work creates awareness about open data and promotes spatial literacy. Open data triggers innovation. KLL is developing software apps to address some everyday needs of citizens. Mero Bhada Meter is one such example.